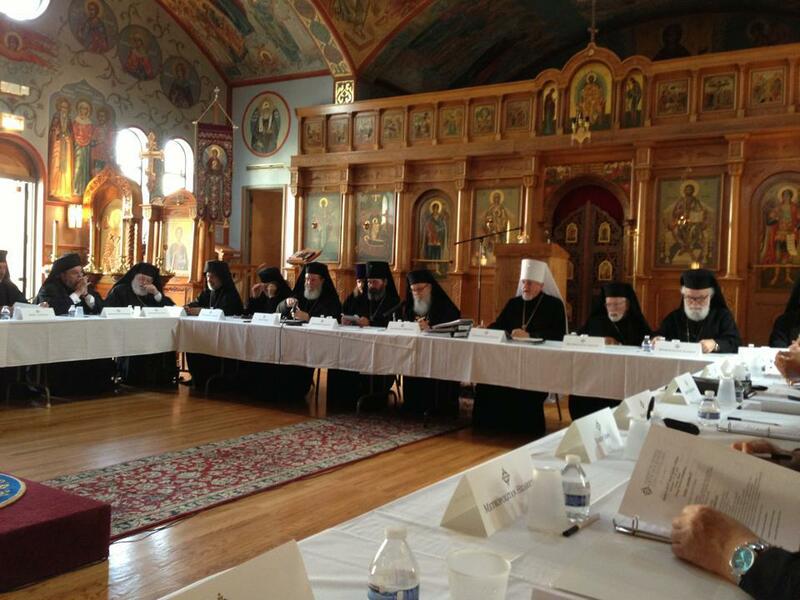 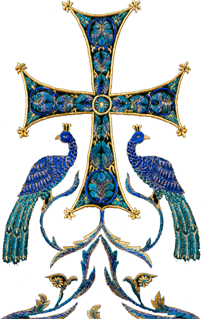 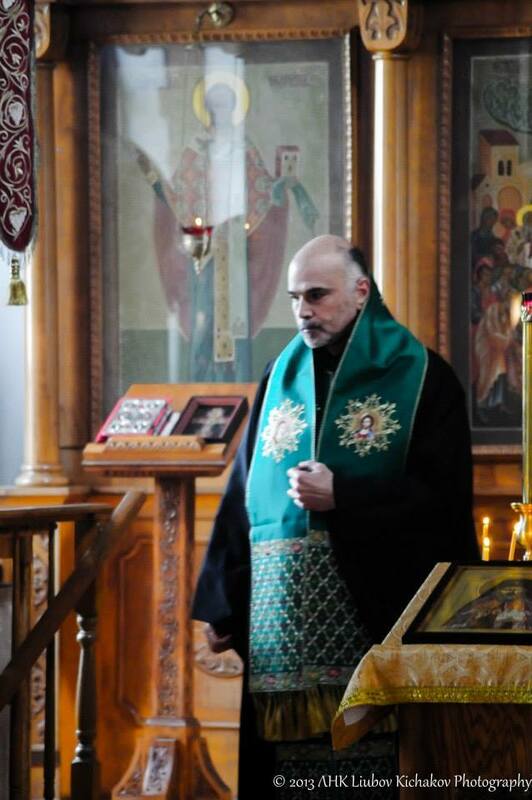 Sept 17, 2013 - On the day of St. Iosaph of Belgorod, the Chicago Pokrov Cathedral hosted 50 bishops who had gathered in Chicago for the annual meeting of the Council of Canonical Bishops of North America. 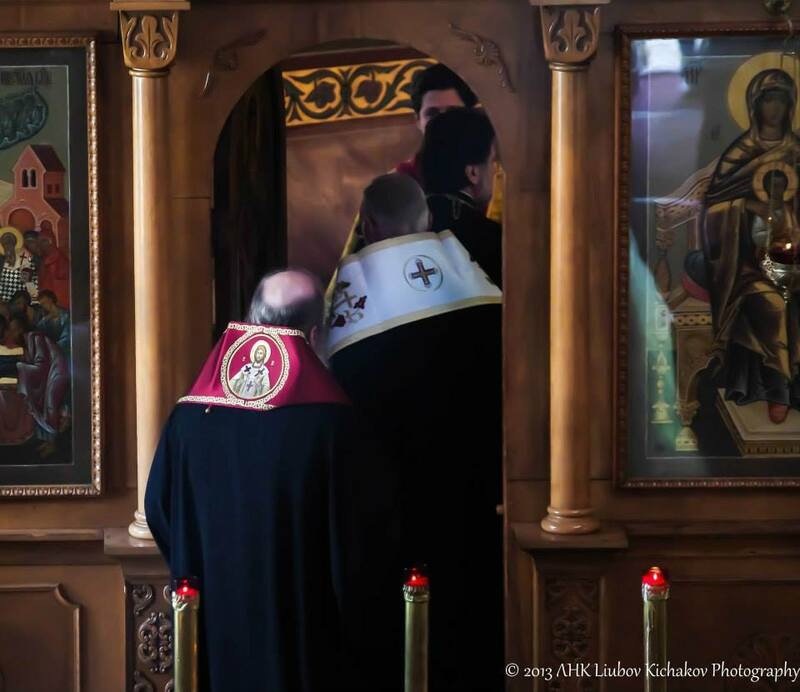 The conference opened with Divine Liturgy which was celebrated by Bishop Peter who officiated in the priest rite. 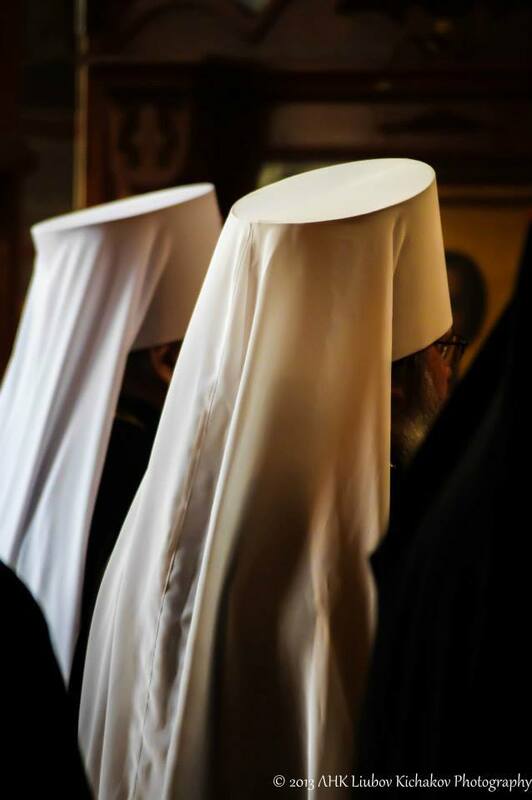 Responses were chanted in Slavonic, Greek and English by a select group of the Pontifical choir from the Cathedral. 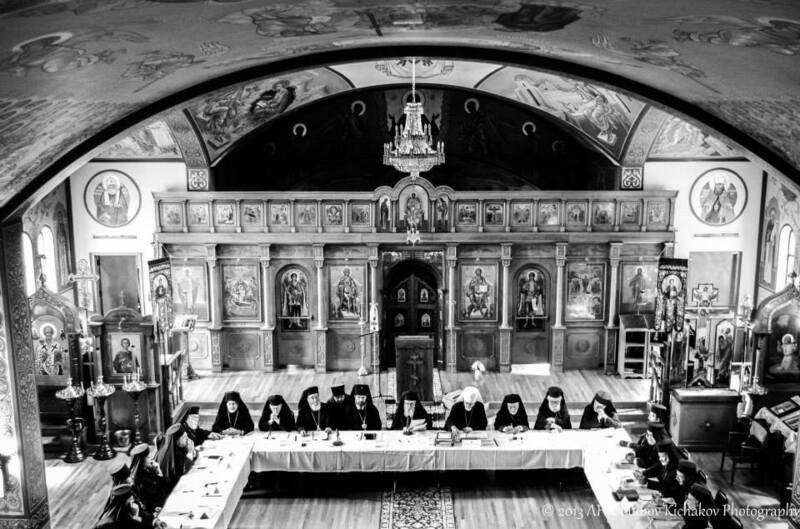 Following a breakfast, the opening session was held at the cathedral and later in the day moved to the conference center where the hierarchs were staying. 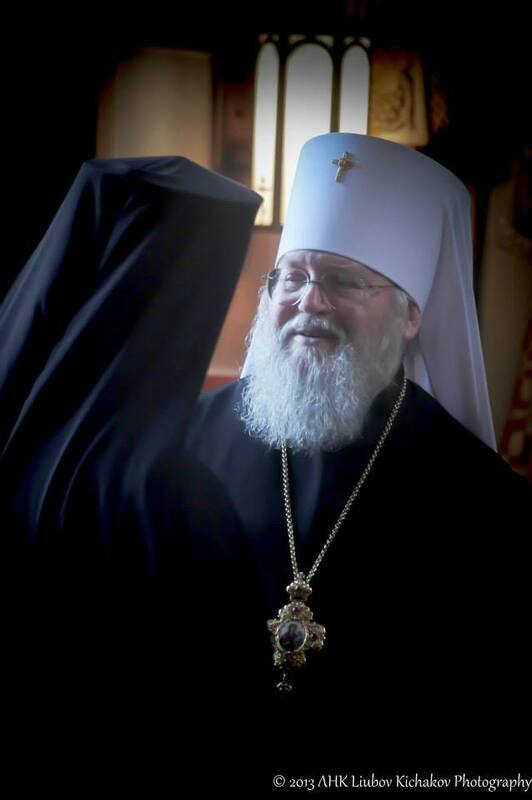 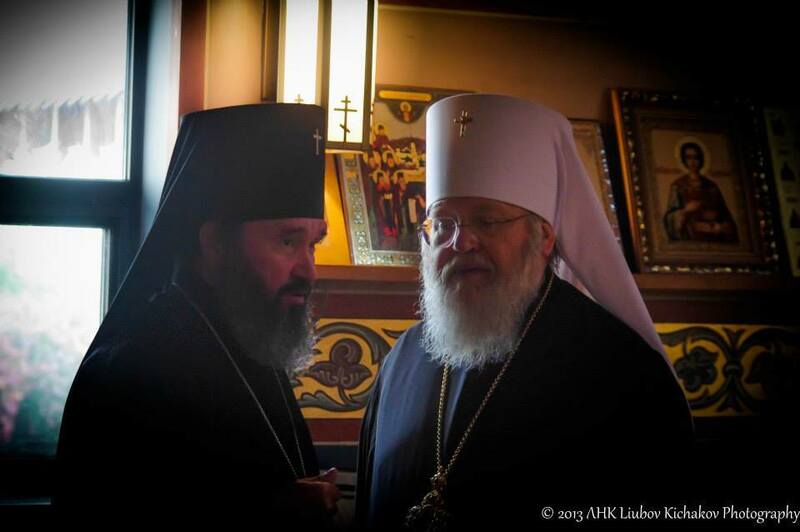 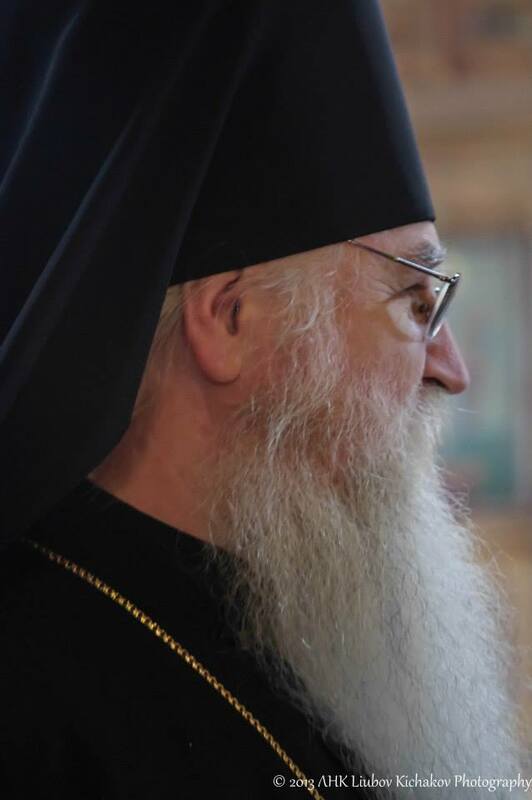 Participating in the conference were several hierarchs from the Russian Church Abroad including: His Grace, Metropolitan Hilarion; His Grace, Archbishop Kyrill of San Francisco and Western America; His Grace, Bishop Theodosy of Seattle; and His Grace, Bishop George of Mayfield.